No, not that Eleanor - you'll be hearing much more about the Duchess of Aquitaine soon enough, with a handful of new biographical novels set to come out this summer. Rather, this post focuses on my favorite among the novels of Eleanor Fairburn, an Irish historical novelist who wrote about strong-willed women from the Middle Ages and Renaissance. Her other subjects include Lady Lucia de Thweng (The Green Popinjays), Anne of Brittany (Crowned Ermine), Cecily, Duchess of York (the Wars of the Roses quartet The Rose in Spring; White Rose, Dark Summer; The Rose at Harvest End; and Winter's Rose), and Grace O'Malley (The White Seahorse). She also wrote mysteries as Catherine Carfax. The story of Nesta of Deheubarth takes place against a backdrop of war between Norman England and the kingdoms of South Wales. Born the daughter of Rhys ap Tewdwr, King of Deheubarth, Nesta is brought to England after her royal father is killed in battle against William Rufus in 1093. She is made a royal ward and raised at Romsey Abbey alongside the orphaned Scottish princesses, Mary and Maud, who through their mother, Margaret, are the last links to England's old Saxon bloodline. While there, Nesta falls in love with the king's younger brother, Henry of Coutances, though William Rufus has other plans for her: he unites her in marriage to Gerald of Windsor, who is made castellan of the important Norman fortress at Pembroke as a way of cementing England's ties to South Wales. Nesta and Henry still have unfinished business, though their liaison doesn't take place until after she has borne Gerald several children. In a particularly poignant moment, she agrees to testify that Princess Maud, a silent and religious-minded young woman, never took vows at Romsey. This permits Maud's marriage to Henry, who has recently become King Henry I. And that's just the beginning of Nesta's vibrant, event-filled life. Over the years, she has relationships -- some willing, others not -- with several other men, though her life always circles back to Henry's. Despite their connection to one another, she comes to see him as a hard, uncompromising man who puts his ambition above all else. This novel qualifies for the royal mistress challenge, although unlike most women in this position, Nesta has royal blood herself. She commands the loyalty and affection of the people of her native land, even though it's her husband who's technically their governor. Fairburn presents her as almost larger than life, though she's too intelligent to be a Mary Sue. (Don't hate her because she's beautiful!) Her life story is an example of truth being stranger than fiction. For instance, her cousin Owain was supposedly so taken with her beauty that he kidnapped her from her husband's castle, beginning a minor civil war. Fairburn's portrait of Nesta is romanticized and wistful in parts, as if she is recounting an ancient legend. (Nesta's initial meeting with Henry is of the "love at first sight" type, too much so for realism's sake.) At the same time, the tone feels appropriate for the time and place, and for a woman who led such a dramatic, out-of-the-ordinary life. In her introduction, Fairburn writes: "This book is a weaving together of fact, probability, possibility, and fiction," which feels about right. A while back, I reviewed an even more obscure book about her, Anne Bell's Daughter of the Dragon. The Golden Hive is the better novel. After picking this book for the letter E in the Alphabet Challenge, I realized it could have fit equally well with F and G, as well as D. Copies used to be more plentiful than they are now. Unless you want to pay upwards of $30, interlibrary loan may be your best bet. 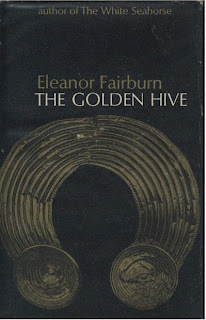 The Golden Hive was published in 1966 by Heinemann & Co, London (long out of print). I managed to snag a copy recently for $10 - sounds like a good purchase! I'm looking forward to reading it. I'll be curious to know what you think about it. You must have gotten the last inexpensive copy! This sounds great - wish it were more readily available! I'd like to read Crowned Ermine too. Thanks for linking to the Royal Mistress Challenge - I'm going to link back to this review. There were some other royal mistresses with royal blood. Louise de Keroualle was related to the French royal family, and I think so was one of Francois I's mistresses, although I can't remember which. This book looks fascinating. I'll be interested to hear what you think of it. Thanks for linking up my review, Miss Moppet. I guess this gets me to Orange Girl status! Of course I had to investigate François I's mistresses to see who it might be. Françoise de Foix, perhaps? I love your obscure books posts- there's so much great older HF out there which has just vanished in time. Yes, I recall a very raunchy comment that Francois is rumored to have said about Mary. I'm glad you enjoy the obscure book reviews, Annis! These books are out of the spotlight but, judging by my blog stats, definitely not forgotten. I get more than a few hits a week from people searching for info on them. Thank you for the review on this book. 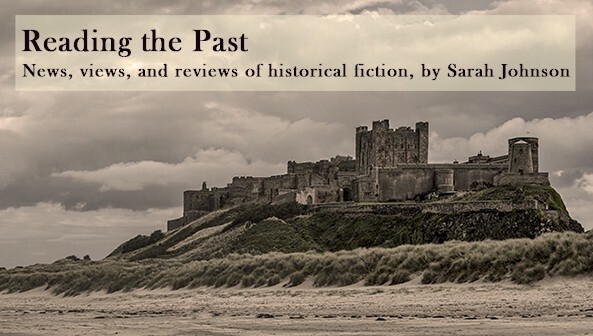 I'm always on the hunt for a good historical fiction book, and immediately after reading this review, I went on Amazon and AmazonUK and was able to purchase it from the UK site for $50. While I never ordinarily pay that much for a book, this one sounded so interesting that I had to splurge! That's great, Nadine, I hope you like it! I'll be interested to hear what you think. Sarah, I got the Golden Hive in yesterday, started reading it on my lunchbreak, read some more last night, some more today....I can't put it down!!! If I didn't have to work this morning, I swear I would've stayed up all night to finish the book! I love it!!! It was so well worth the money I spent on it, because it will be one book that I will treasure and read over and over again. Hi Nadine, I'm so pleased to hear you're enjoying it! I'd love to see this one reissued, as it's gotten more hard to find. There are a lot of long-out-of-print treasures out there. Sarah, have you ever read "The Lily and the Dragon" by Dedwydd Jones? This is another out of print book that I stumbled upon on Amazon. Unfortunately, on the Amazon US there are no reviews for it and on the Amazon UK site there's just 1 review (and that one review rated it good). I usually base what books I buy upon their reviews. Although I can pick this book up for $6.00, I would hate to buy something and have it turn out terrible. I haven't read it, and don't own a copy, but I've had it on my wish list for a while (just based on the subject). The publisher is a small Welsh press, and I found that their site is selling it for £1 plus postage, if that's helpful. There's another review posted there, and the book looks heavy on the devil worship/witchcraft/supernatural angle. From this, I expect it isn't a book for me, but if you end up getting a copy, I'd be interested to hear your thoughts! Thanks for the link. It provided more detail on what the book is about than Amazon did. I've read stories about Catherine of Valois before and have become fascinated by her and Owen Tudor. Based on this information, and the fact that it was compared to Sharon Kay Penman's "Here be Dragons" (another of my all time favorite authors), I'm going to go ahead and order it! I'll let you know how it is once I'm done with it. You're correct, Sarah, it François I's first official mistress, Françoise de Foix, was of royal blood: she was second cousin de Anne de Bretagne, wife of two French kings (Charles VIII and François's predecessor, Louis XII). I just did a post about Françoise here. François's second mistress, Anne d'Heilly, Madame d'Etampes, was of noble but not royal blood. Sorry, I don't know why that link's not working.